Associate Professor of Microbiology (AGR/16) at the Faculty of Bioscience and Technology for Food, Agriculture and Environment, University of Teramo, member of the teaching body for the Ph.D. course in "Food Science" and Coordinator of the Bachelor’s Degree in Biotechnology. Internal tutor of ESR7 : Fermented foods, from microbes to functionality. January 2014 he obtained the National Scientific Qualification as Full Professor in Microbiology. 2001 he became member of the International Ph.D. teaching body - Italy-Ireland "Biotechnology of lactic acid bacteria: genetic engineering and enzymology”. 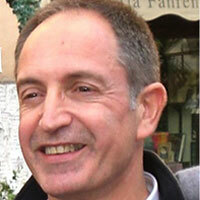 From 2006 to 2013 reference person of the Faculty regarding the Erasmus program at the University of Teramo. From 2012 to 2014 he represented the University of Teramo on the Scientific Committee of the Agro-Food Higher Technical Institute. From 2009 to 2014 he has been a member of the Research Panel of the Italian Society for Agro-Food and Environmental Microbiology (SIMTREA). He carries out his researches on physiological characterization and molecular typing of lactic acid bacteria and other food-associated microorganisms, on their involvement in fermented food production and preservation, and on their identification in foods by using culture-dependent and culture-independent methods. He is author and co-author of 227 publications, of which 103 are published in international journals reviewed by ISI (Institute for Scientific Information of Philadelphia). Click here to see them.